BIMM, Total Guitar and Metal Hammer team-up for guitar summer school! BIMM have three different Summer Schools running in August 2010 and places are selling out fast! Our programmes, which have been running for eight years, will offer you the opportunity to study technical development and live performance skills in guitar, vocals, drums, or bass. Keyboards are also offered for the Total Guitar Summer School (BIMM Brighton) this year. You will be using industry standard equipment whilst being taught by some of the biggest names in modern music. BIMM tutors and guests have sold hundreds of thousands of albums signed to major and independent record labels, had chart hits, toured the world and hit the main stage at Download, Glastonbury, Reading and Ozzfest, recorded dozens of Radio 1 sessions, as well as having their music in films on TV and in video games. Mark Clayden BIMM Bristol College Manager and founding member of Pitchshifter and This is Menace said: "The summer schools are awesome, the tutors and guests help to cut away all the myths and get down to the basics of making you a better player." Skindred, Nevermore, Ocean Color Scene, Paul Weller, Cooper Temple Clause, Massive Attack, CSS, Testament , Skunk Anansie, Feeder, Blue Aeroplanes, Ghost Of A Thousand, Gay Dad, Reef, Charlotte Hatherley, Carl Palmer, The Crimea, Biomechanical, Prodigy , Hundred Reasons, Supergrass, Sikth, Therapy, Pitchshifter, This is Menace, Malakai, Kerrang! Radio, Kerrang! Magazine, Total Guitar Magazine, Guitar Techniques Magazine, Guitarist Magazine, Rhythm Magazine and more (subject to change). Ibanez are also offering 1 free 'RG Series Limited Edition' guitar for the Total Guitar Summer School to one lucky winner + amazing prizes from Peavey and Brighton's GAK - Guitar Amp and Keyboard Centre who will also be providing goodie bags , as well as a GAK discount card! 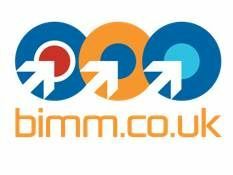 This year sees BIMM endorses Orange Amps offer up some incredible prizes for the best guitarist. The stack consists of the Orange Tiny Terror Head and 1 x 12 cab (there are also 5 swag bags for the runners up) Brighton's GAK - Guitar Amp and Keyboard Centre will also be providing goodie bags , as well as a GAK discount card! Call BIMM now on 0844 2 646 666 to speak to us personally or email info@bimm.co.uk This year promises to be a sell out so apply early to avoid disappointment. Or check out BIMM.co.uk.